Great Leadership: Should Salaries be Completely Transparent? I have a confession to make. When I was an HR Manager, I used to look up how much money people in my company made. Sure, mostly I had to, as a routine part of my job. I had to help managers determine how to divide up tiny merit pay budgets, administer bonus plans, and establish pay for job offers. However, there were those times when I was just curious to see what that guy over in procurement was making that was always giving me a hard time. If I found out he wasn’t making much, I was more likely to cut him some slack. However, if he was making more than me, I was less tolerant, and expected him to earn those big bucks. At the time, I wasn’t violating any policy, although sometimes I felt like a peeping Tom. Maybe airport screeners feel the same way. When I left HR, I heard they made a rule that said HR could no longer “salary surf”. That is, unless it was for a specific job related need, no more peeking. Apparently I wasn’t the only one with a need to know. Most companies guard compensation information like Coke guards its secret cola formula. I did too. Loose lips sink ships and all that. 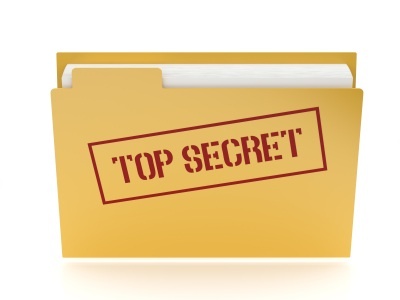 Having been involved in succession planning work most of my career, I know the importance of confidentially and can keep secrets as well as anyone, even when subjected to corporate waterboarding. I may have peeked, but I never shared. I once heard a consultant suggest that HR should post everyone’s salary on the company intranet. At the time, I thought the suggestion was naïve, disrespectful, invasive, and potentially destructive. Can you imagine the chaos and anarchy that would result if anyone could peek at anyone’s salary? It might even contribute to global warming. Some companies won’t even publish salary ranges. Seriously! Well, guess what? I now work for an organization where every year, the local newspaper publishes a complete list of what every employee makes. It’s called a public university. Apparently this is quite common in the transparent world of academia. Or perhaps it’s just unique to New Hampshire, with a motto like “live free or die”. They publish all of the state worker’s salaries as well. Now, instead of just my coworkers knowing what I make, my friends and neighbors will know as well. BTW, before you develop eye strain trying to find my name, the most recent list is from 2010, before I started. The funny thing is, when you lift the veil of secrecy, after the initial curiosity, it’s not a big deal at all. Work still gets done, people don’t obsess over it, and maybe it even helps create a greater degree of accountability. I guess people just get used to it. But I’m not totally used to it yet. I still feel like the public has no business knowing how much some firefighter makes. However, if we all knew what each other made, would it really matter? With Zillow, we know how much our neighbors paid for their homes. Publicly traded companies publish their officer’s salaries in their annual report. We know how much professional athletes and entertainers make. In these days of Facebook, we have entire generation entering the workforce that doesn’t seem to care about sharing the most personal aspects of their lives with the world. How about you? Can anybody give us one good reason why companies shouldn’t publish every employee’s salary? I work for a state university in North Carolina and salaries are public here, too. Definitely different, I previously worked in the corporate world and never heard of such a thing. I have mixed feelings about the practice and still not sure what side I'm on. Great to see you addressing a pay topic! Any good reasons why companies shouldn't publish every employee's salary? I'll bite on that! I am a fan of pay clarity, rather than pay transparency. I believe companies should provide clarity and information on the purpose, objectives, intent and mechanics of the pay program - and be prepared to discuss what employees can/must do in order to earn more. This does include sharing salary ranges - which provide employees with information on their earning opportunity within their current role. I know that many people argue that pay transparency would be a means of ensuring fairness. This assumes that everybody has all the facts and information necessary to assess the fairness of others’ salaries (they don’t) and that they are able to make these assessments in an independent and objective manner (they can’t). I work for an FMCG company in the Middle East as a human resources manager. Human resources and its functions is a new concept here, especially in the country where I operate (Syria), it's still only strict to Personnel. However, very few companies believe in human resources and bring it on board with full capacity. Practitioners here don’t believe in Pay Transparency at all, and think that it will raise a conflict between co-workers and seniors. It demonstrated a motivational tool for the employees to work harder and develop their selves and encouraged them to participate in our training center. It helped us in the in human resources department to focus more on our jobs instead of wasting 4 – 6 hours a day answering or following up clams about salary increases. I once worked at a university that published salaries. Big deal. You got used to it. Everyone focuses on the $$. What about the benefits? This is an area ripe for the high officials to get paid without being so obvious. State and federal legislators have doing this for years. Same here. Just one of the many aspects of academic culture to get used to. Thanks. Thanks for adding your 2 cents. All: please read Ann's posts for more on this topic, as she is the offical Great Leadership compensation expert. I like the "pay clarity vs. transparency" principle, makes sense. Sounds like your practice is similar to Ann's, and it's working. Thanks. I can't understand why a company wouldn't do this, but I know of many that don't. Strange. Good point - the $$ do not tell the whole story. But as you say, at the end of the day, is it really such a big deal? You do get used to it, and everyone knows there is more to the story than $$. So far, I have seen no fights in the hallways over it. I'm actually 100% in favor of it. Equity theory tells us that people will slack off or work harder depending on how they see their compensation related to peers. The dangers come from having to assume what their peers make. As a military veteran, where our salaries are known to the general public, I found it wonderful. Everybody knew what the other person made, and what you had to do to get to the next pay scale (promotion). It really eliminates the issue of worrying what everyone else is making, and if you are making enough, if you should ask for a raise, etc. I'm all for it in the workplace. Thanks. Interesting therory. I wonder if that's a reason companies don't want employees to see - it would expose pay inequities? Thanks. I wonder why it seem to work in the milatary, government, and academia, but it can't work in oin other places? Salaries structure must be transparent in any case to avoid people using wrong means to earn money. The best way can be putting independent people in place to decide salaries provided if they are very well aware with the management skills. I like your post. thank you.. I am pro as regards making salaries public. Imho, this motivates employees and applicants to work harder. To be honest, I agree that the public sector should have transparent pay structures...after all it is the general public that pay these. In regards to the private sector...I know not everybody would agree, but I think that's up to the owners of the business. and I like your comment, you are welcome. Thanks. Sure, I suppose it should be, but is it a good idea?